Whiskey Sours and Embittered Last Words: the Paper Plane Cocktail | Ποδήλατο καφέ - podilato caffè- (bicicletta caffè, bicycle cafe, bisiklet kahve, bicicleta café, café vélo, قهوه دوچرخه , 自行車咖啡, бицикл кафа )..................... Λιμάνι σκέψης, δίνει την δυνατότητα να διασκεδάζεις έξω ξοδεύοντας λιγότερα από το να κάτσετε σπίτι. “Figuring it out” is half the fun with cocktails. Tinkering with the classics has always been a good exercise, and the Whiskey Sour is one of the most versatile of models to play with. Bartenders through the ages have experimented mostly with the sweetener, and occasionally with the citrus. 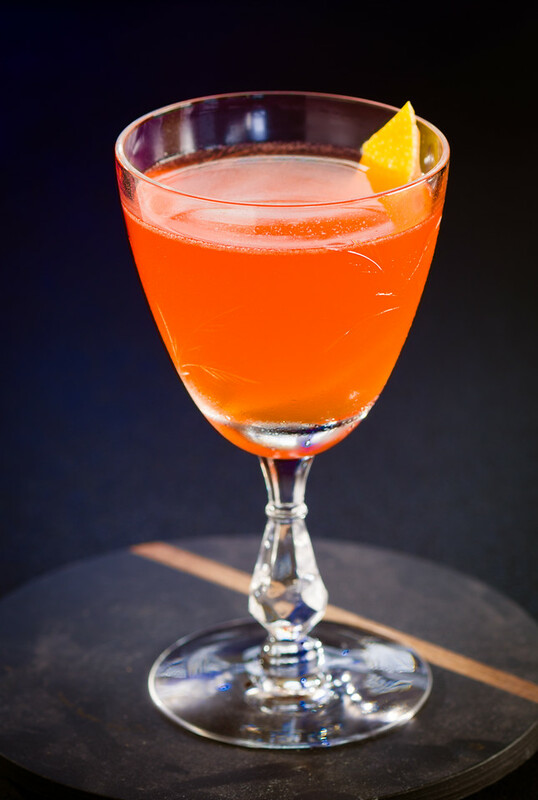 Examples include the classic Ward 8, which blends rye whiskey with orange and lemon juices and grenadine; the Gold Rush, a simple blend of bourbon and lemon sweetened with honey; and the Brown Derby, with bourbon and grapefruit juice, again sweetened with honey. A more elegant approach to the sour is to use liqueurs in place of sugar or syrup. It’s not a new styling—Jerry Thomas was sweetening sours with curaçao in the 1880s. A modern example would be the Countrypolitan, a blend of bourbon with lime juice, Grand Marnier and pomegranate liqueur. A more aggressively flavored, liqueur-sweetened sour is the Last Word: gin, lime juice, Chartreuse, and Maraschino. The Last Word is a gin sour, not whiskey, but it emphasizes the opportunities available with liqueurs; once you open the door to alternative sweeteners, especially the heavily herbal liqueurs like Chartreuse, there’s a lot of room to play. One substitution that has gained considerable popularity in the last couple decades is the use of amari as the sweetening agents in sours. Simply put, amari are bitter-sweet liqueurs, traditionally used as aperitifs or digestifs. 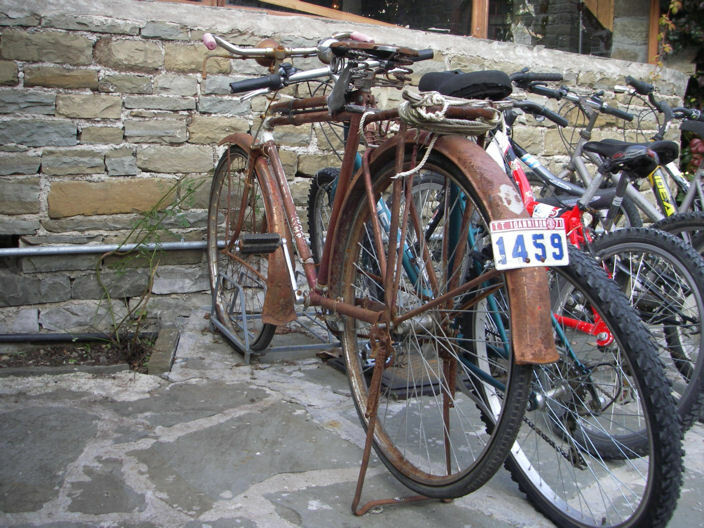 Some of the best-recognized examples are Campari, Averna, Aperol, and the ubiquitous, aggressively minty Fernet Branca. The best example of a modern whiskey sour that uses amari is Sam Ross’s Paper Plane Cocktail. The Paper Plane is an equal-parts sour, a whiskey-friendly version of the Last Word, with bourbon whiskey, lemon, and two amari as sweeteners, in place of the Last Word’s two herbal liqueurs. Shake first four ingredients with ice until very cold. Strain into a chilled cocktail stem, or over a large piece of ice in a rocks glass. Express and garnish with lemon twist. The Aperol and Amaro Nonino both have a pronounced orange nose. Both bring considerable sweetness to the drink, along with a leathery, rhubarb and orange peel bitterness. 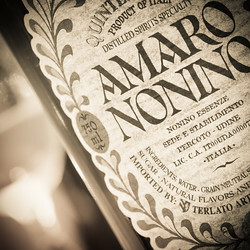 The Nonino has a distinct caramel note, and is slightly vanilla—possibly as a result of its unusual barrel aging. Neither is aggressively bitter, but they bring a richness and complexity to the flavor that goes far beyond anything a simple sugar syrup can provide. A high-proof bourbon like Weller 107, with its cinnamon and orange notes, is a good choice in this cocktail, to stand up against the amari. Buffalo Trace, at 90-proof, with its caramel nose and barrel flavors, also works well. Shake with ice and strain into cocktail stem. Marvel makes two obvious changes to deal with the more aggressive bitterness of the Campari: despite the “equal parts” concept of the original Paper Plane, they more than double the whiskey proportion; and they switch to rye to give even more of a whiskey profile. My preference is for the non-Campari version, but Marvel’s formula offers an interesting insight into the possibilities of substitutions. The use of amari to sweeten and enrich the whiskey sour (or any sour) is a brilliant idea. It brings new flavors to the fore, diversifies the list of available ingredients, and provides a way to make the relatively simple sour into a sophisticated, even complicated, treat. I don’t know what made me remember mixing that first whiskey sour. For that matter, I don’t know why I was even interested in making a whiskey sour, even a bad whiskey sour, when most of my friends drank beer or indulged other recreations. It was the 70s, not memorable times for cocktailing, and I’m hardly a dyed-in-the-wool iconoclast. I doubt there will ever be answers to those questions, but that’s okay. It’s enough to have started down a path that I’ve enjoyed, and along the way there has been a spectrum of whiskey sours, from that first, awful, lemon-heavy Scotch sour to the marvelous richness and imagination of the amaro-laden Paper Plane.